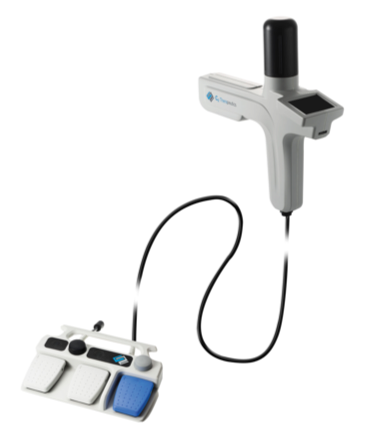 Endoscopy company, Pentax Medical has announced the introduction of the C2 CryoBalloon™ Ablation System for the treatment of Barrett’s esophagus. Barrett’s esophagus is a condition in which the lining of the esophagus develops abnormal lesions primarily as a result of chronic gastroesophageal reflux disease (GERD). It is a known pre-cancerous condition, with sufferers being 30-40 times more likely to develop esophageal cancer, a disease with only a 19.2% five-year survival rate. As its name implies, the C2 CryoBalloon Ablation System uses extreme cold to destroy unwanted tissue. A balloon probe, which is connected to a catheter, comes in contact with the wall of the target tissue. Upon activation by a physician, the balloon probe is simultaneously cooled and inflated with nitrous oxide. The extreme cold eradicates the targeted precancerous or abnormal lesions along the esophageal lining while sparing healthy tissue. The system allows physicians complete control of the procedure under direct visualization of the treatment area during the procedure, which lasts between 15 to 30 minutes. Pentax Medical is featuring the device at Digestive Disease Week™ (DDW) in Washington, DC this week (June 2–5). DDW is the largest international gathering of physicians, researchers and academics in the fields of gastroenterology, hepatology, endoscopy and gastrointestinal surgery. The company has also announced that beginning June 1, the developer of the C2 CryoBalloon, C2 Therapeutics, which it acquired last year, will operate under the PENTAX Medical name.